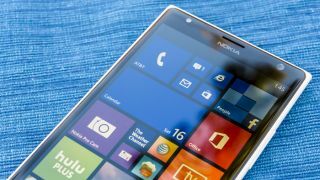 While Microsoft has revealed much of what to expect from Windows 10, it's remained relatively tight-lipped about what to expect from Windows 10 for phones, however it looks like the company might be about to spill the beans. Microsoft has already announced a January 21 Windows 10 press event and according to The Verge sources familiar with Microsoft's plans have revealed that the company will show off some Windows 10 for phones features, including interface changes designed to make it fit more with both the desktop version of Windows and the Xbox One operating system. Apparently changes will also be made to the interface on the desktop version of Windows 10, with new light and dark themes designed to match those on the phone and tablet versions. Supposedly Windows Phone 10 will essentially be a combination of Windows Phone and Windows RT, allowing the same apps to be run on both phones and tablets. Windows 10 for phones is internally being referred to as Windows 10 Mobile or just Windows Mobile, but it's possible that neither of them will be its final name and The Verge speculates that the release name of Windows 10 for phones may also be announced at the January 21 event. Perhaps more exciting, you may soon be able to try out Microsoft's next mobile OS for yourself, as a 'Phone Insider' app was recently released, allowing users to test the upcoming OS. Currently it's only available to Microsoft employees, but there's speculation that it could be opened up for anyone to use following the aforementioned press event. So a week from now we may have a far clearer picture of what form Windows 10 for phones will take, what it will be called and maybe even what it's like to use. A new version of iOS is in the works too.